Schäferite: Mineral information, data and localities. Nosean 4 photos of Schäferite associated with Nosean on mindat.org. Whitlockite Group 4 photos of Schäferite associated with Whitlockite Group on mindat.org. Magnesioferrite 1 photo of Schäferite associated with Magnesioferrite on mindat.org. Pseudobrookite 1 photo of Schäferite associated with Pseudobrookite on mindat.org. Liebenbergite 1 photo of Schäferite associated with Liebenbergite on mindat.org. 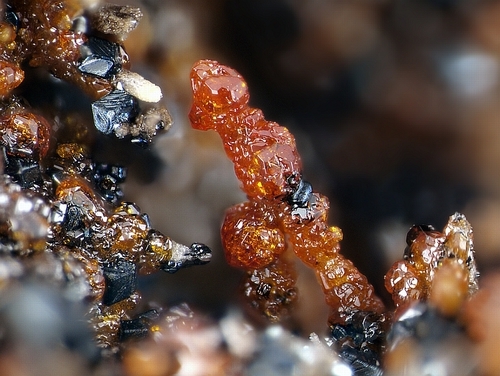 Krause, W., Blaß, G. and Effenberger, H. (1999): Schäferite, a new vanadium garnet from the Bellberg volcano, Eifel, Germany. Neues Jahrbuch für Mineralogie, Monatshefte 1999, 123-134. Nakatsuka, A., Ikuta, Y., Yoshiasa, A., Iishi, K. (2003): Vanadate garnet, Ca2NaMg2V3O12. Acta Crystallographica, C59, i133-i135. Kolitsch, U., Rieck, B., Brandstätter, F., Schreiber, F., Fabritz, K. H., Blaß, G. & Gröbner, J. (2014): Neufunde aus dem altem Bergbau und den Schlacken von Lavrion (II). 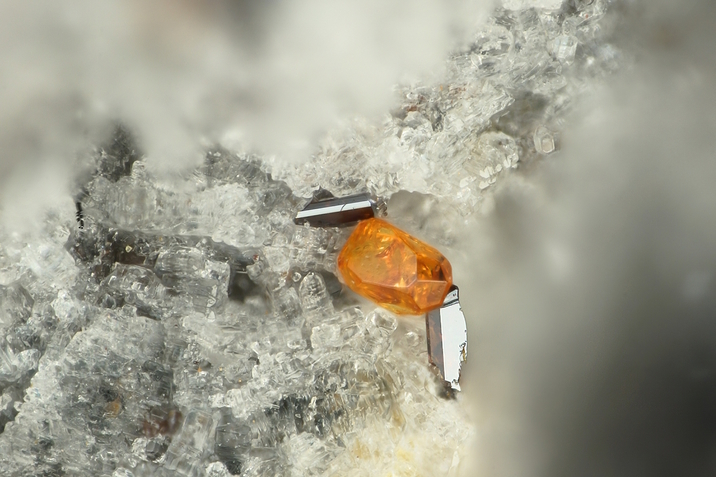 Mineralien-Welt 25 (2), 82-95 (in German). ; Koshlyakova, N.N., Zubkova, N.V., Pekov, I.V., Giester, G., Pushcharovsky, D.Yu., Chukanov, N.V., Voudouris, P., Magganas, A., Katerinopoulos, A. (2016): Crystal chemistry of a Ni-Mg-analogue of lyonsite from slags of Lavrion, Greece. Neues Jahrbuch für Mineralogie - Abhandlungen: Journal of Mineralogy and Geochemistry 193, 113-120; Koshlyakova, N.N., Zubkova, N.V., Pekov, I.V., Giester, G., Pushcharovsky, D.Yu., Chukanov, N.V., Voudouris, P., Magganas, A., Katerinopoulos, A. 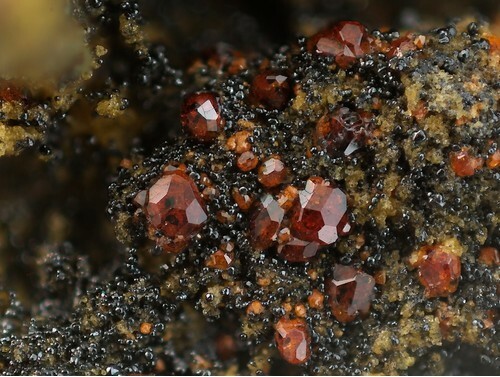 (2017): Crystal chemistry of vanadate garnets from old metallurgical slags of Lavrion, Greece. Neues Jahrbuch für Mineralogie - Abhandlungen: Journal of Mineralogy and Geochemistry, 194, 19-25.